Unipol Bologna has won the championship in the Italian Baseball League 2016. 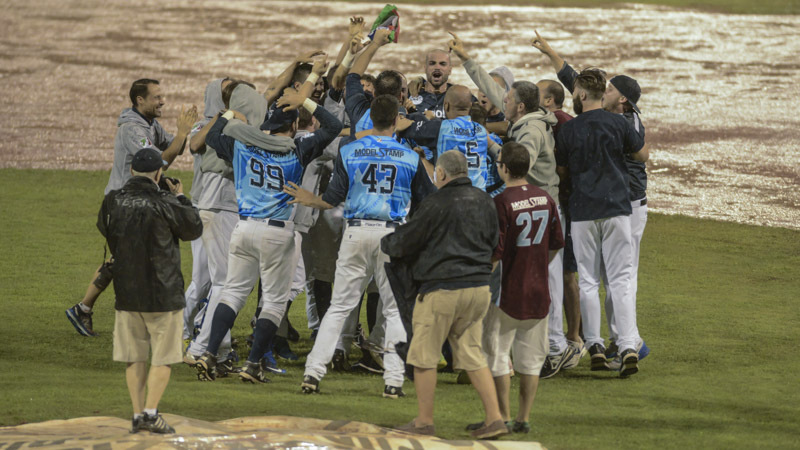 They defeated ASD Rimini 2-0 in a rain-shortened game six of the best-of-seven Italian Baseball Series on early Monday morning. It’s their first title since 2014 and their fifth since 2003. Last year Rimini swept Bologna in the Italian Series after Fortitudo had dominated the season. The eventual decisive game six already was postponed from Saturday to Sunday due to rain. The weather only was slightly better one day later and twice needed to be stopped due to rain delays. After the second, well after midnight, the game was called in the bottom of the sixth. With the early ending Alessandro Vaglio’s two-run double in the bottom of the fourth stood as the game winner. Ryan Searle and Raul Rivero had kept Rimini to one hit and two walks in 5 1/3 innings. Ricardo Hernandez issued four hits, two runs and two walks in four frames to take the loss.